Family games night in our house has been livened up by the addition of a little egg laying turtle. 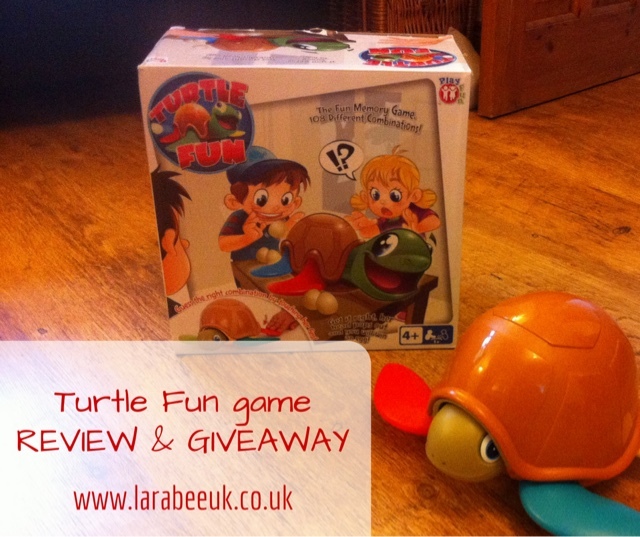 Turtle Fun is a great memory game for ages 4 and up and can be played alone of in a group, cousin J (6) joined T (4) in a game this weekend and both really enjoyed it. We've played this a few times now as a family and it's a really good way to get children to actually think about what they are doing and sharpen their memory skills. Basically, you have to press the Turtles flippers in a particular order for her head to pop out, when her head is fully out, she'll lay you an egg. The player with the most eggs at the end is th winner. 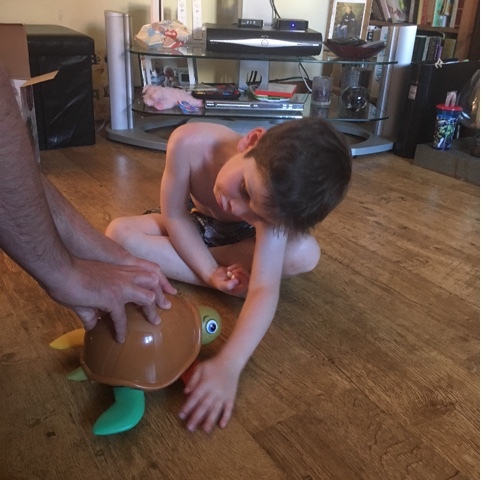 My slight criticism is that it's a bit wobbly when you are trying to press the flippers and so have to hold the shell down to make sure that contact is made. Here's a little video of T & J having fun playing, I've sped up most of it to save you having to listen to the chat! Turtle Fun has an RRP of £19.99 and is available here. We are giving away a game to one lucky reader, enter below. Giveaway ends midnight 21 August, see rafflecopter for full T&C's. Ive never heard of this game beforw but it looks really fun! Entered! This looks like a fun game to play, I'm sure my kids would love it. I like them to play games like this when give their brains a bit of a work out while they're playing. I can see my 4 year old nephew loving this for sure.